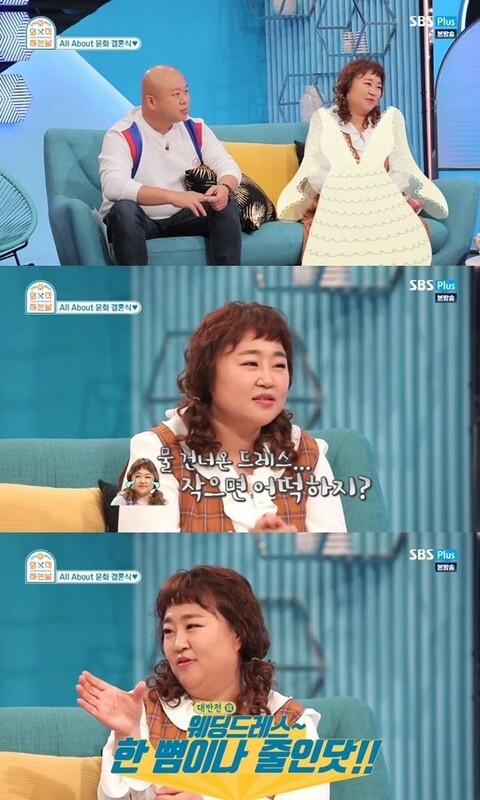 MC Kang Ho Dong�asked, "Have you tried on your wedding dress?" Hong Yoon Hwa answered, "I recently had wedding dress fitting. Before trying it on, I was worried wondering if it would fit but it was actually one palm size bigger. So I have to trim it down now." Earlier this year, Hong Yoon Hwa and�Kim Min Ki,�her comedian boyfriend of 8 years, announced they've finally�set their wedding date�for this fall. 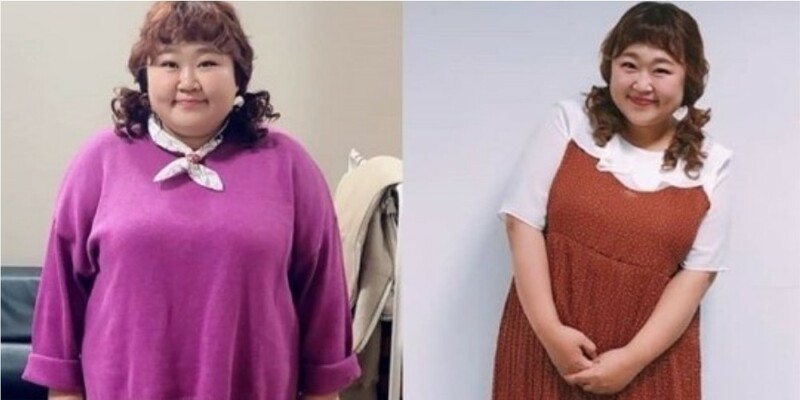 Hong Yoon Hwa declared she'll be losing weight to look extra good in her wedding dress.